I only began cooking delicata squash a couple of years ago after discovering this pretty little thing in Martha Stewart’s Living Magazine. Not only does it have those colorful stripes, it also tastes amazing, a cross between sweet potato and butternut squash…so you know I had to get some and give it a try. After roasting them, I found it hard to scoop out the inside from the skin (when eating it alone it’s fine because the skin is edible, buy do buy organic whenever eating skin to avoid the pesticides). 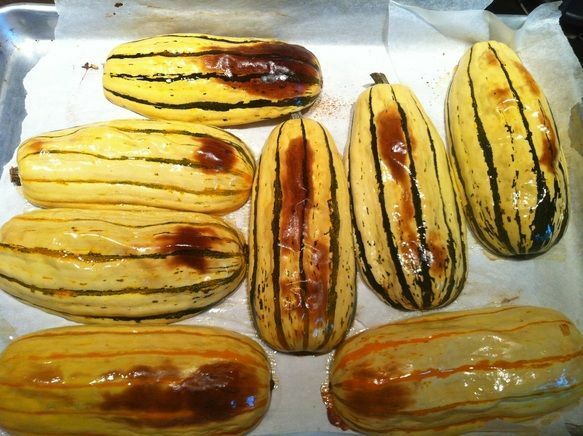 With some thought, I decided to show off it’s beautiful skin (and make this a simple dinner), so I stuffed it with some end-of-summer seasonal produce to compliment it’s sweet squash flavor. A great way to begin the fall season, I think. Everyone enjoyed dinner, even our friends who did not know they were testing out a new recipe! Those who eat at our house are kind of used to that. They do still come back, so that’s good, right? So I added flavors that I thought would compliment the squash. 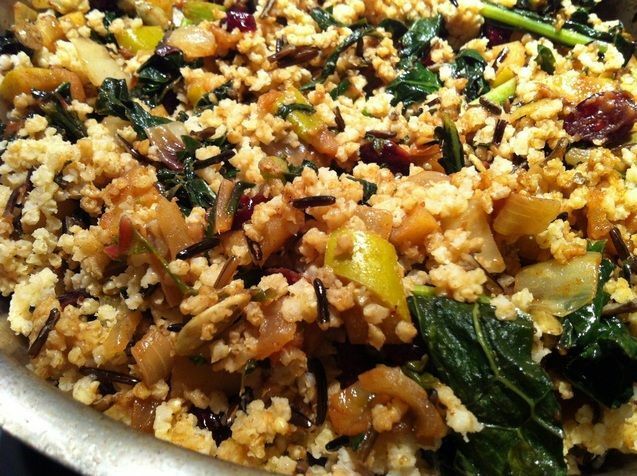 To make it a bit heartier, I decided to add millet and wild rice (actually a grass, not a rice!). What I love about a meal like this is that if you don’t have time to prepare dinner then just mix up the filling the day before and stuff the baked squash before serving. These looked so pretty and colorful plated, without any sides to take away from it’s moment. Your family (or guests) will think you whipped out some fancy culinary skills. We don’t need to tell them how easy this recipe really is. Enjoy! 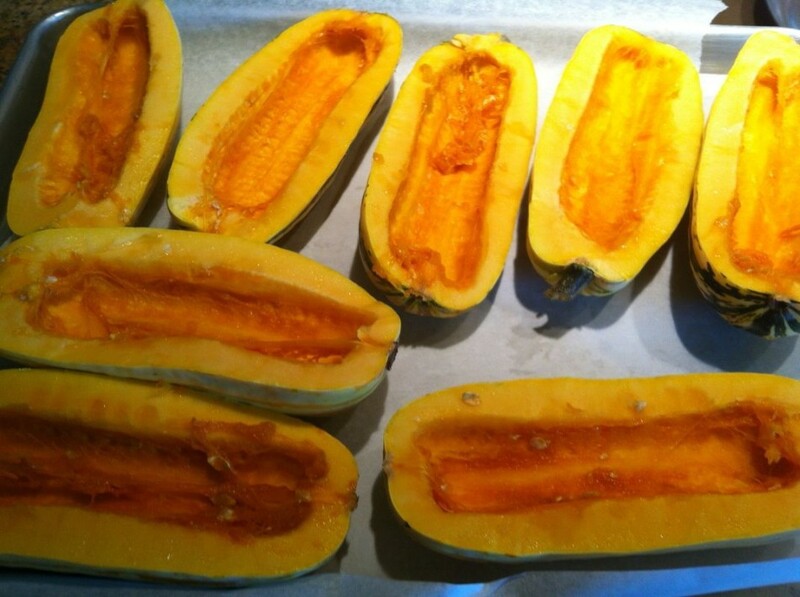 Roast halved squash face side down for 25-35 minutes, until it is soft to the touch. No salt or oil needed. In a small saucepan set over medium high heat, add water and 1 teaspoon kosher salt. 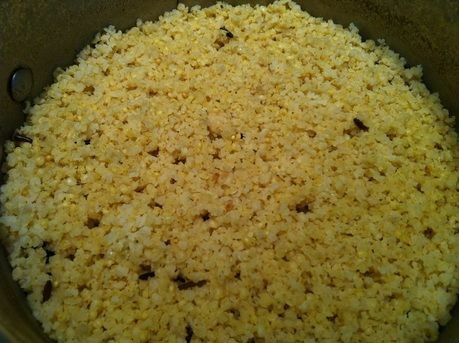 When boiling, add millet/wild rice, cover and reduce to simmer. Cook for 20-25 minutes until you see little holes and the water has absorbed. Have your ingredients ready. In a large saute pan set on medium heat, add oil, and Earth balance spread. 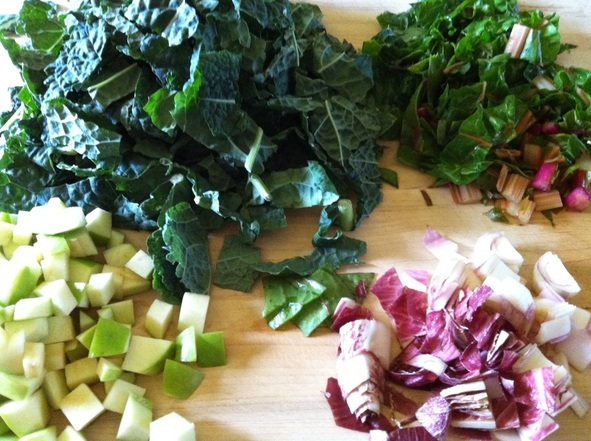 Add kale, swiss chard and remaining 2 teaspoons kosher salt. Toss well (for no mess I use tongs to turn over the big leafy greens). It will look like a huge amount in the pan but it will shrink within a minute. Cook until greens have softened but still have a little firmness, another minute. Add tamarind paste, and pepitas. Mix well, then cook another minute until done. I made your recipe tonight and it came out beautiful and tasty. Thank you for introducing my family to this squash. Everyone loved how I stuffed the squash. 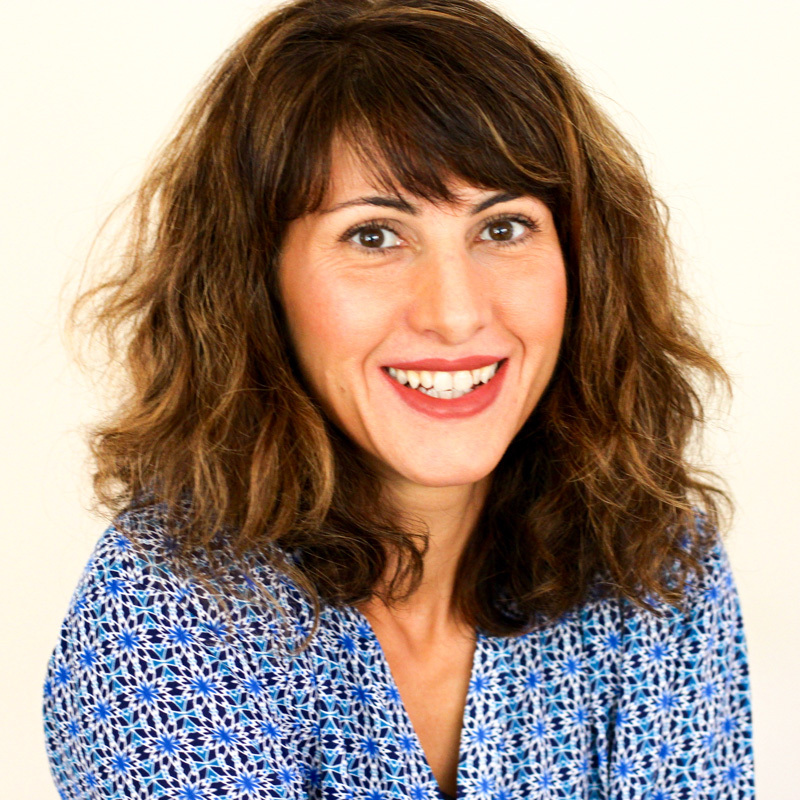 You have some delicious looking recipes I will be trying. This looks like a wonderful dish to serve at my upcoming sit down dinner party. 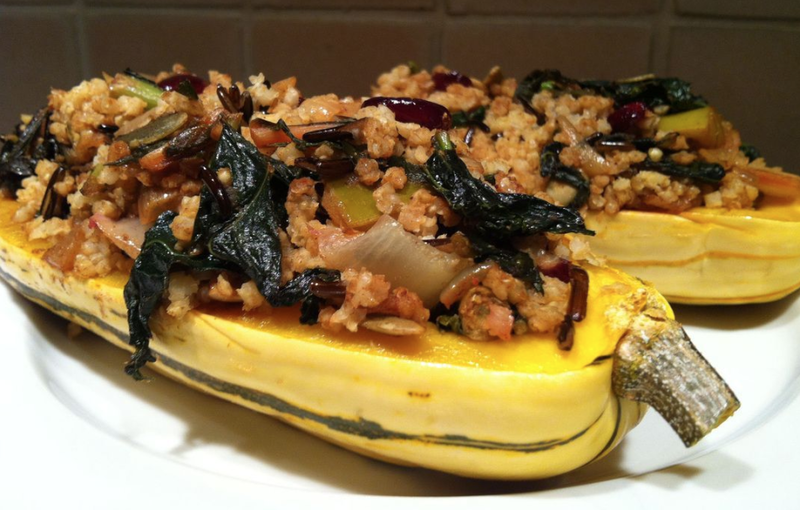 Can I prepare all the squash with the stuffing and keep them in a warmer or could they dry out? Thank you. Yes, it can sit in the warmer without affecting moisture. Enjoy! I couldn't find Delicata squash at the market so I improvised using acorn squash because I couldn't resist trying the filling from this recipe. It turned out so tasty and pretty on the plate. I think I may make this when having a dinner party. Thanks for the recipe! I came across your recipe on pinterest and love all your recipes. 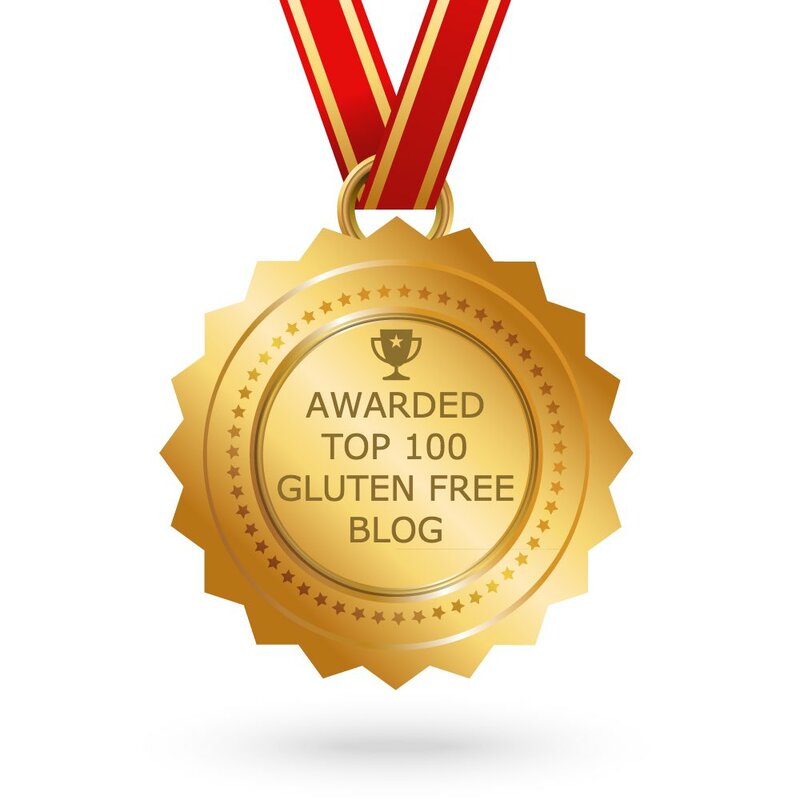 Wow, you make so many gourmet style recipes that my gluten dairy free belly is in love with! 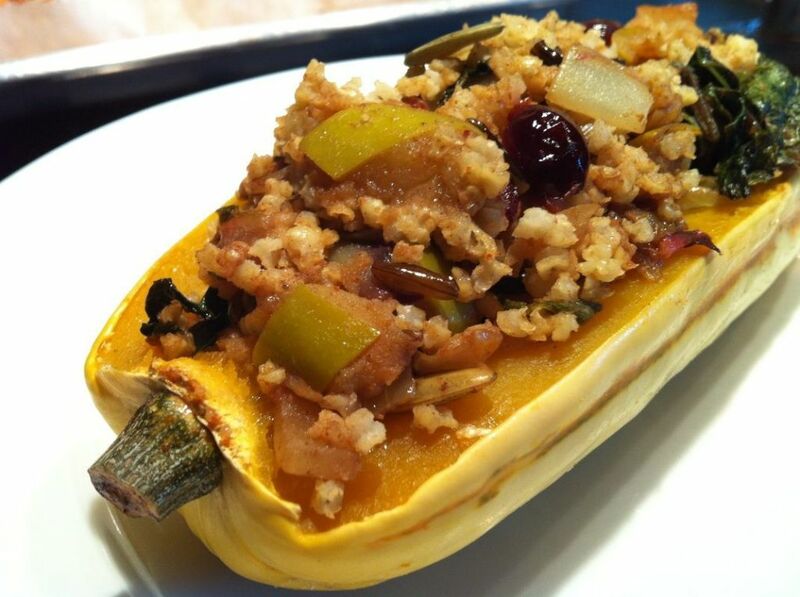 Never knew how to cook this squash, making this now! !